Multi-user WordPress websites have managements of different kinds.. There are chances that you may not want to give access to your web-content to each and every user. Or you may want to hide your live content from the unpaid or unwanted subscribers of your website. Then a great and best restrict content WordPress plugin will help you out. Restrict content plugins are the content protection platform. But are there any more reasons behind protecting the content? A quality content will help to bring a large number of visitors to your website. But today protecting the content of your website is very important. Restrict content plugins helps bloggers to keep data or content privately secured. It makes the content accessible only to the member of the site or subscribers or the people you want to share your content with. The plugin protects the website and their contents in many ways and it protects itself as well against a spammer, junk emails or plagiarism. Restrict content WordPress plugin provides you all the solution to make your content secured and protected. This plugin further keeps hackers, and spammer away from your website and keeps the stealing away. 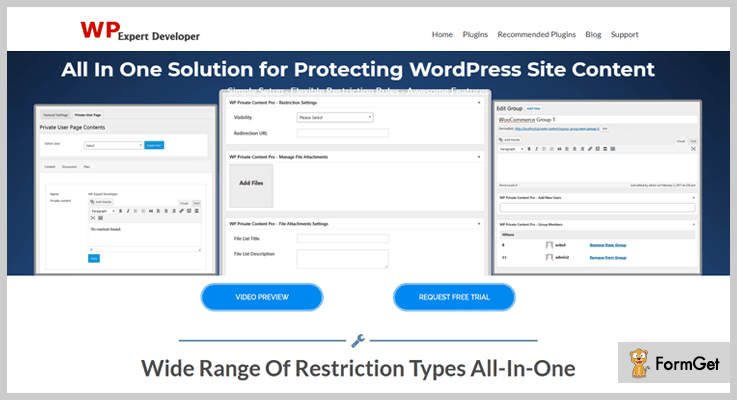 In this article, we’ll be providing you with an in-depth overview of 7+ best restrict WordPress plugins both free & paid. 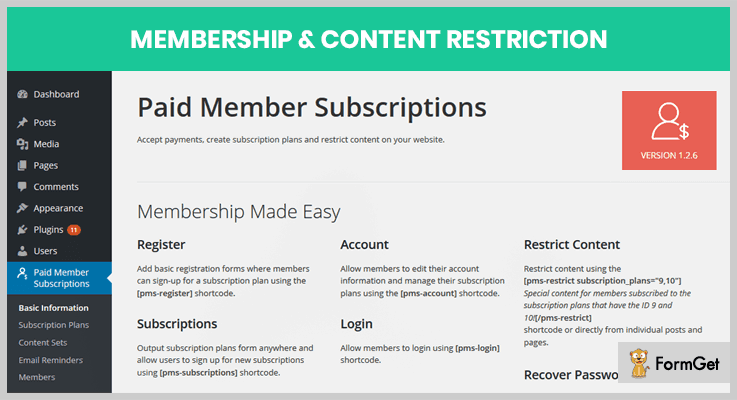 This custom login paid membership pro is the great solution to create a membership restrict content plugin which is simple in use and completely secured. Use the plugin to restrict the contents, files to a certain user-set expiration date, encrypted URLs and more. Download tons of features at $20 for 6 months support. Get its unlimited features at $100 for 6 months supports. Allows the user to set or reset their own password for a website. The plugin provides regular or automatic updates of all the products. Restricts WP dashboard for subscriber level of users. The plugin looks stylish and is more secure. This Restrict Content Pro is designed especially for content protection platform. This content management plugin provides excellent supports over the contents. It privately secures the contents of bloggers and provides the access only to the members of the website or subscribers. The plugin supports lots of add-ons like affiliate marketing, a job submission board etc. At $99/Y for 1 site ( 12 official free add-ons ). At $149/Y for 5 sites ( 12 official free add-ons ). At $249/Y for Unlimited sites ( 17 pro add-ons ). At $499/Y (one-time payment) for Unlimited sites ( 17 pro add-ons). The plugin supports various platforms like bbPress, WooCommerce etc. It is integrated with various payment integration such as PayPal, Stripe. It allows the subscriber to purchase the sites from multisite of WordPress. With its restriction time lock keep your content at which time you want to be. 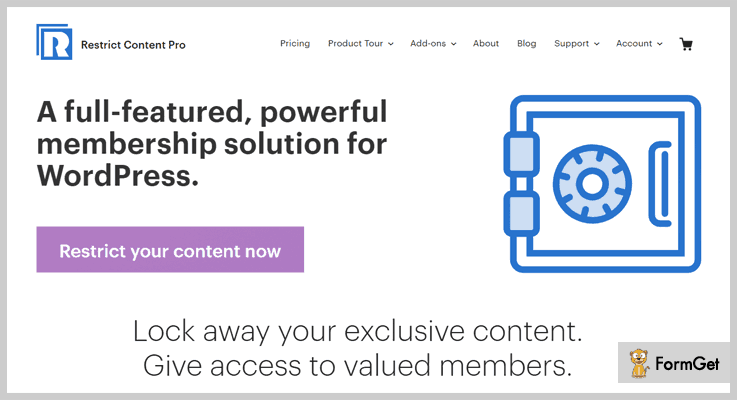 MemberPress is the easiest and popular content restrict plugin for WordPress. It helps you build an amazing WordPress membership site. The plugin is completely reliable and secured while accepting any card payments it will protect your credit cards contents. The plugin offers solid features like content control means the only user can decide who can see and browse your content. At $129/ YR for 1 Year of Support and Updates. At $249/ YR for up to 10 Sites. It provides a flexibility to refund 100% of your money if you don’t like membership. The plugin is completely easy to use for subscribed users and powerful. Its subscription management module helps you to build multiple levels of subscription. 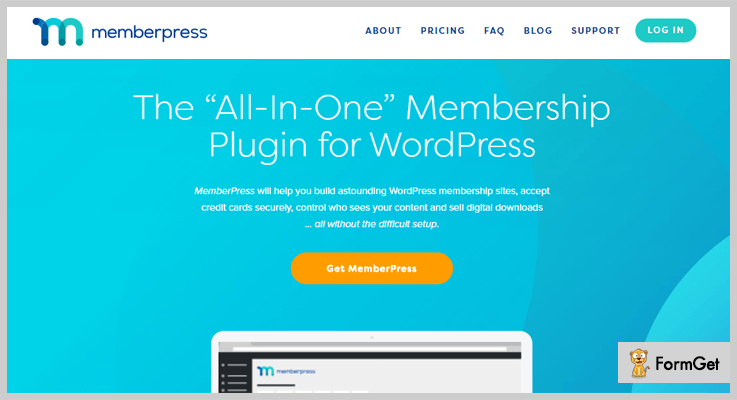 Build a powerful WordPress site with its membership. 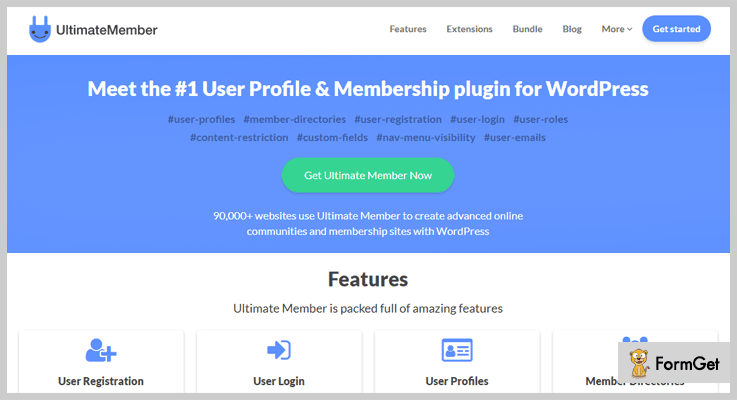 This membership plugin for WordPress is the most powerful plugin which can create advanced online membership sites with WordPress. It is simple in use and provides protections for various tools like user profiles & registration, member directories, user logins and more. The plugin is the most robust when it comes to features. The plugin is available both in Free and Paid. Get its paid service to get premium features at just $199/ YR with unlimited license key usage. It supports multiple registration forms to create unlimited registrations. With registration action, you can redirect the user’s profile to custom URL. Assign the users to the specific role assignment tool. Private content is the easiest way to protect your contents. It has an ability to turn your site into a multilevel restrict convert platforms. The plugin is a modern or a powerful framework to restrict the content part of your website. At $24 with 6 months support. At $89 get unlimited features with 6 months support. The plugin is integrated with Google analytics to track users actions. Provides unlimited and easy to use registration forms. Fast and intuitive listings management system. Supports export and import systems. WP private content is the powerful yet easy solution to boost your websites. The plugin manages the process for protecting the bloggers’ contents and data from guests or unsubscribed users. You can restrict your post, pages, custom pages etc from unused users. 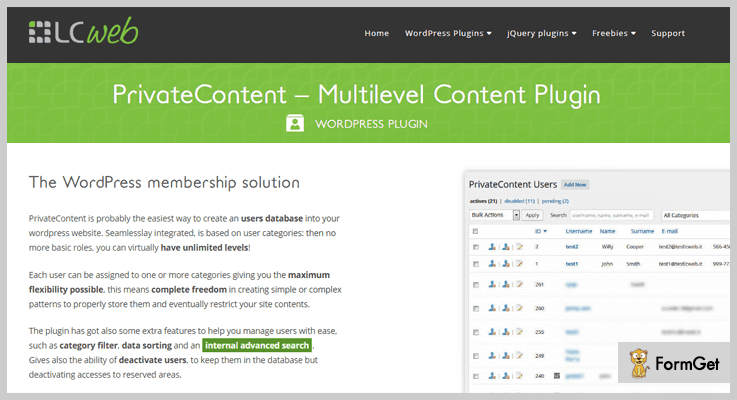 Also, you can create a private page for every user of your with this powerful restrict content WP plugin. Get a multitude of features at $49 with 6 months supports. Unlimited features at $199 with 6 month supports. Allows you to restrict contents within the shortcode to limit the access. It restricts menu for unwanted users, guests, unsubscribed users etc. Do not allow multiple users to search meta value contents. Provides global site password protections. 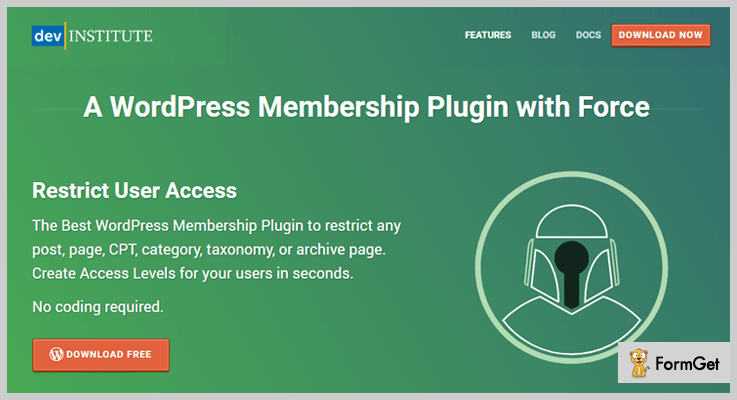 Use restrict user access plugin to quickly setup a membership site and restrict your contents from unwanted users. Use this plugin just the way you want. Create an unlimited number of access and users roles and responsibility. You can also restrict the post/pages/ contents or any categories you want to. The plugin is completely is FREE. A Free version of this plugin can be found in wordpress.org. 1. Allows you to restrict the unlimited contents and files. 2. It comes with various plugin integration and support such as bbPress, BuddyPress etc. 3. It provides visibility shortcodes for every subscribed user. 4. Supports hide and edit content options. This plugin is very simple and can easily restrict your contents on your WordPress site. The plugin offers a complete membership solution, allowing you to manage members, payments etc. This content restriction plugin for WordPress is integrated with WooCommerce. Also allowing you to restrict the products, purchasing & plans views to the unsubscribed users. Download this plugin from its official site wordpress.org at FREE of cost. Allows you to create a members-only store. It restricts access to the shop page members. Allowing you to see who can see or purchase the subscription plans. It offers a discounted price many times to its customers. Integrated with bbPress, WooCommerce and many more. A good approach is to be proactive. So here I tried to made an approach to find the list of top 7+Restrict Content WordPress Plugins both free and paid. Hope from these lists you’ll get your desire restrict content plugin. Do let us know if you liked our post!